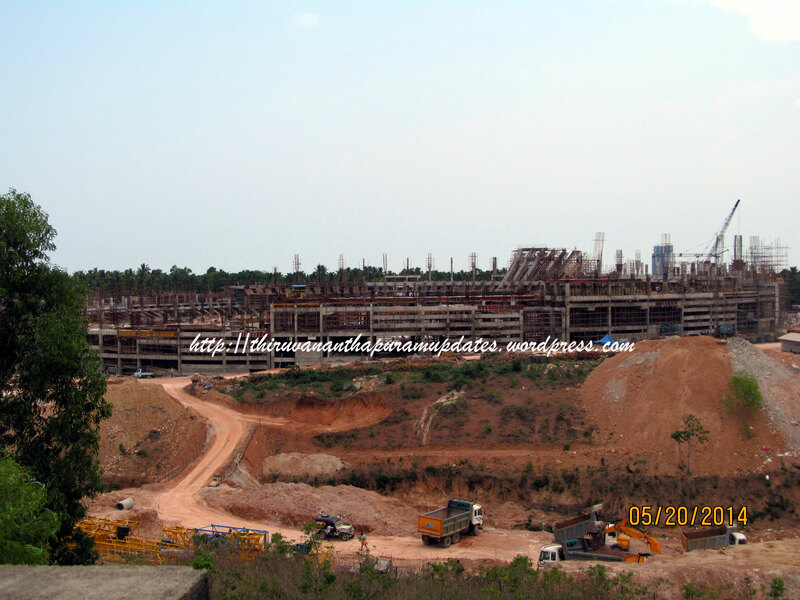 Kerala's biggest infrastructure project - the Rs 8000 Crore Vizhinjam Deepwater Port and Container Transshipment Terminal - has finally got a classy presence on the WWW. Long overdue one may say, considering the sheer importance of the project on a national and international scale, but I say better late than never. Happily, the new website is partly the result of a suggestion made by TDF to the dynamic new Ports Secretary and CEO of VISL, Sanjeev Kaushik. When team TDF met him on Thursday, he was happy to let us know that our suggestion had in part prompted him to put Vizhinjam online in style. It is indeed a great sign that a London Business School graduate, with experience in such firms as the erstwhile investment banking giant, Lehman Brothers, is now in charge of the project. Perhaps, that has already been reflected in the selection of global consultants, IFC, as the project advisors. Mr. Kaushik also let us know that IFC would be setting up a micro-site on Vizhinjam to deal with the details of the project from an investor's perspective as well as to act as a single point of contact during any future bid process. The new approach adopted by the Government, of moving ahead after building a consensus among the local population and to commence infrastructure work in advance of the bid, is the most positive and pragmatic that has yet been in the case of the Vizhinjam project. I love the intro, it makes sure that the significance of Vizhinjam as a regional hub cannot be missed. Do send in your suggestions about the website to contact@tribiz.in and we will make sure they reach the VISL folks! And as always, well done you guys. Its the first step you initiate that always start long journeys. Website is fine. Office in vazhutcaud is also fine. But what about the port? Will it get materialize? Whether the govt be able to acquire the land. (Initial plan was to acquire 1000 acres,now only 100 acres is possible). Will the fishermen community allow the peacful development/running of the port? Remember the incidents such as Menankulam clay factor? Vizhinjam is need of the age!!! So happy to see the progress!!! the site, well done!!! Harish Babu , a native of Vizhinjam.